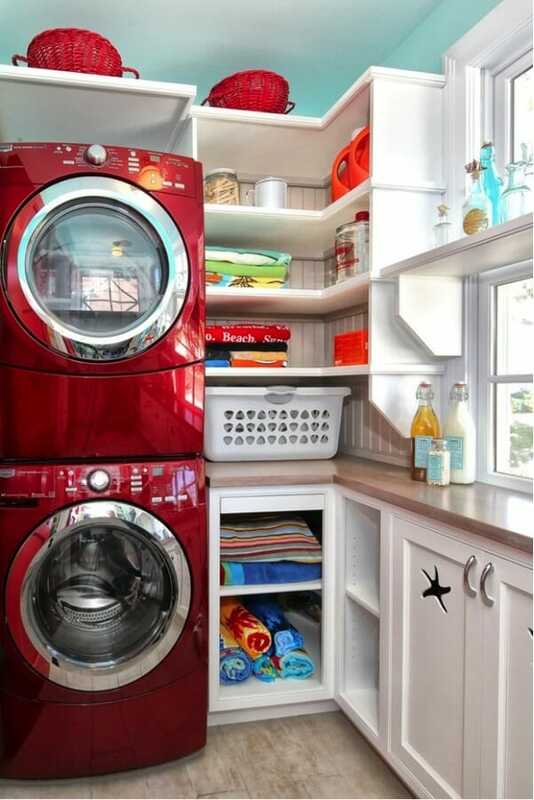 Laundry room additions are a wildly popular home remodeling project. If you are considering an addition, you have the luxury of customizing your space to create a convenient and functional space. As with any home improvement project, it is important to do your homework. 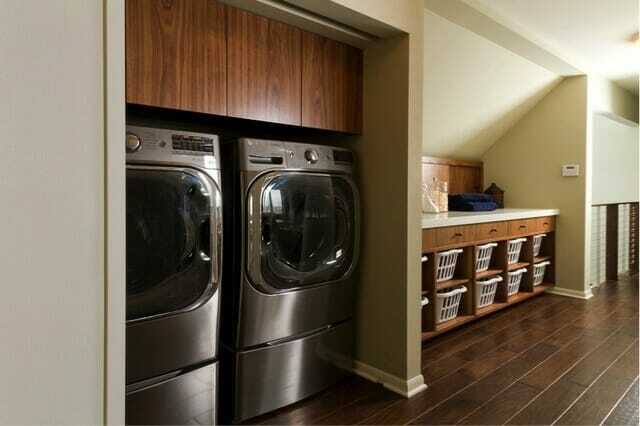 What features would make your laundry room the most convenient space for your family? What will the project cost? Where should you start? Hamper station: This will keep piles of clothes off of the floor. Hampers can also be labeled by family member. Next time your spouse or child yells, “where is my favorite tee shirt?” you can direct them to their own laundry basket in the hamper station as a starting point. Cabinets: The closing kind, or even open shelves placed over the washer and dryer provide an accessible home for laundry detergent, fabric softener, bleach, and any other laundry accessories that you may use. Additional base cabinets can store extra household cleaning products. The countertops on the base cabinets provide a nice flat surface at a comfortable height for folding clothes. Pull-out ironing boards and built in drying racks will help you stay on task if everything is conveniently located in the laundry center. Laundry sink: This is useful for hand washing delicates or rinsing anything that you don’t want to track into the rest of the house. The laundry room is a great place for organizing miscellaneous items. Things like wrapping paper or crafting supplies that you do not want to take space in common areas of the home, can be organized neatly and tucked away in a storage cabinet. 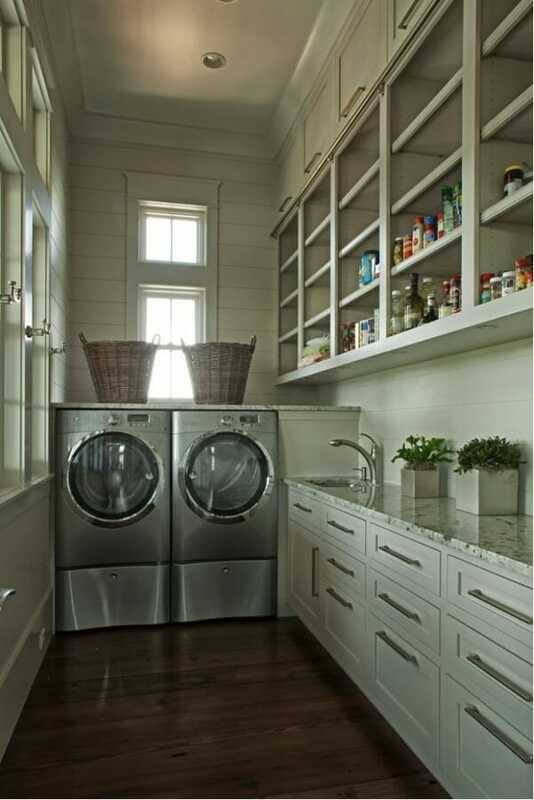 An extra room: If the laundry room is being built on the main floor, the room can double as a mud room. Adding hooks for coats and bags will keep clutter contained, and everyone will know where to find their things as they head out the door for school, work, or other errands. What will a laundry addition cost? As with any home remodeling project, the price of a laundry addition can vary greatly. If you are replacing items in an existing space, the project may start at around $3000. If you are adding on to your house, you will need to get an estimate from a contractor for the construction of walls and installation of floors, plumbing, electricity, and fixtures. New washing machines, cabinets, countertops, paint, and laundry room accessories must be added to your estimate. Make sure to do some comparison shopping so you can be sure that you’re getting the best price for the items that you select. Get quotes from a few different reputable contractors. The best way to get started is to start dreaming about what you want. Browse the Internet for photos of laundry rooms and take notes on the features that appeal to you the most. Make a list of features and accessories that are Must-Haves and Would-Be-Nice-To-Haves. Determine your budget for the project and contact a few reputable contractors for construction quotes. Schedule an appointment with a space planner or architect. Kitchen and bath designers can quote the cost of cabinets and appliances and provide you with a drawing to help you visualize your space. Laundry is not a particularly exciting endeavor, but if your laundry room is cheery, functional, and convenient, you will find yourself smiling while separating lights and darks. 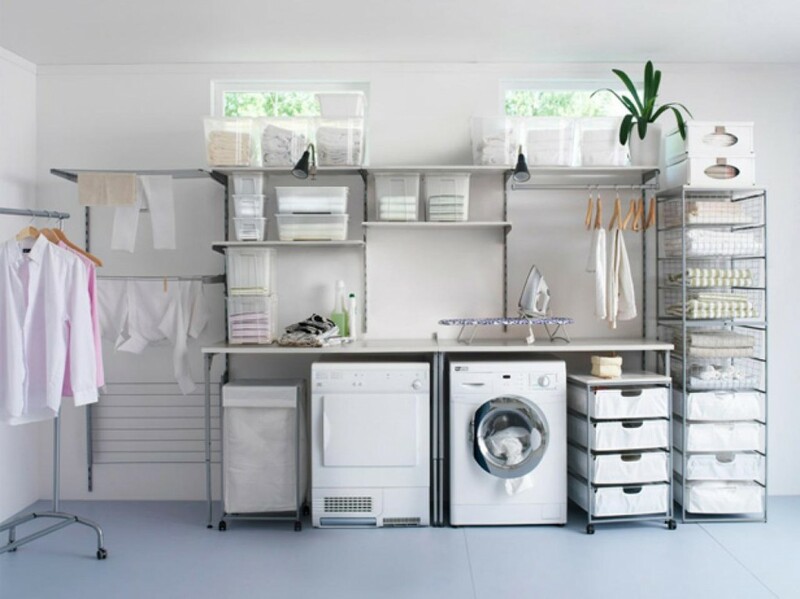 Transform the laundry room into a laundry retreat. Choose a bright color to paint the walls. If it’s possible to add windows to the plan, having natural light pour in would be a bonus. Treat the room as a special as any other. Hang a framed print of something that makes you smile every time you walk into your laundry room. Add speakers for music, audiobooks, or podcasts, or a small television to catch up on favorite shows while you wash, flip, dry, and fold. A pleasant, organized laundry room in a convenient location will make the boring task of cleaning and folding clothes feel more like an escape.